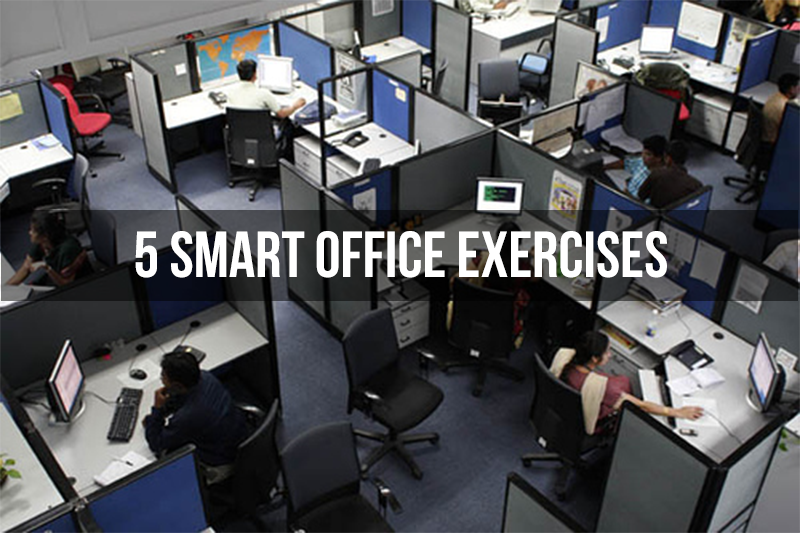 If you are working for 8 hours and you find it difficult to allocate time to your fitness then try these 5 Smart Office Exercises they are easy, hardly takes time and they aren't humiliating you can do them in office without getting noticed. To strengthen neck muscles on one side, place right hand against the right side of head and try to push against right hand. To work on rotation, put hands on both sides of head, try to turn head to the left and right but don’t let head turn. For extension, put both hands behind head and retract head backward into hands. It means the extension of breath. 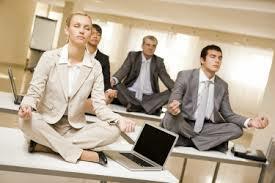 Alternate nostril breathing also known as anulom/vilom pranayama is best recommended at work as it not only de-stress but also supplies oxygen to the entire blood stream. Simply raise both shoulders up toward the ears, hold for 5 seconds, then relax. Repeat for 15 reps. When pay raises are nowhere to be seen, consider the leg raise. (Bonus: they’re hardly noticeable underneath the desk!) 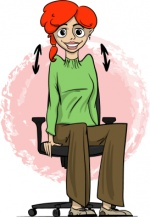 While seated, straighten one or both legs and hold in place for five or more seconds. Then lower the legs back to the ground without letting the feet touch the floor. Seated calf raises can be done with the toes pointing forward, outward, or inward. 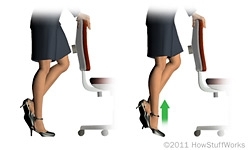 While seated with the back straight and shoulders squared, lift your heels and contract your calves. Consider 2 sets of 10 each. These exercises will really help with lower extremity circulation. Practice these exercises in Office and hit the Gym with fitpass. Be a part of our 15000+ fitpass enthusiasts, get your fitpass now.